Imam Fakhr al-Din al-Razi was one of the outstanding figures in Islamic theology. Living in the second half of the sixth century ah (twelfth century ad), he also wrote on history, grammar, rhetoric, literature, law, the natural sciences and philosophy, and composed one of the major works of Qur’anic exegesis, the only remarkable gap in his output being politics. He travelled widely in the eastern lands of Islam, often engaging in heated polemical confrontations. His disputatious character, intolerant of intellectual weakness, frequently surfaces in his writings, but these are also marked by a spirit of synthesis and a profound desire to uncover the truth, whatever its source. A number of his metaphysical positions became well known in subsequent philosophical literature, being cited more often than not for the purposes of refutation. His prolixity and pedantic argumentation were often criticized, but he was widely considered the reviver of Islam in his century. Fakhr al-Din al-Razi was born in Rayy near present-day Tehran in ah 543 or 544/ad 1149-50. Like his predecessor al-Ghazali, he was an adherent of the Shafi’i school in law and of the theology of Ash’arism (see Ash’ariyya and Mu’tazila). He was attracted at an early age to the study of philosophy, in which he soon became proficient. In his late twenties, he visited Khwarazm and Transoxania, where he came in contact with some of the last theologians in the Mu’tazilite tradition. Although he endured hardship and poverty at the beginning of his career, on returning to Rayy from Transoxania he entered into the first of a series of patronage relations with rulers in the east which contributed to his reputedly considerable wealth and authority. 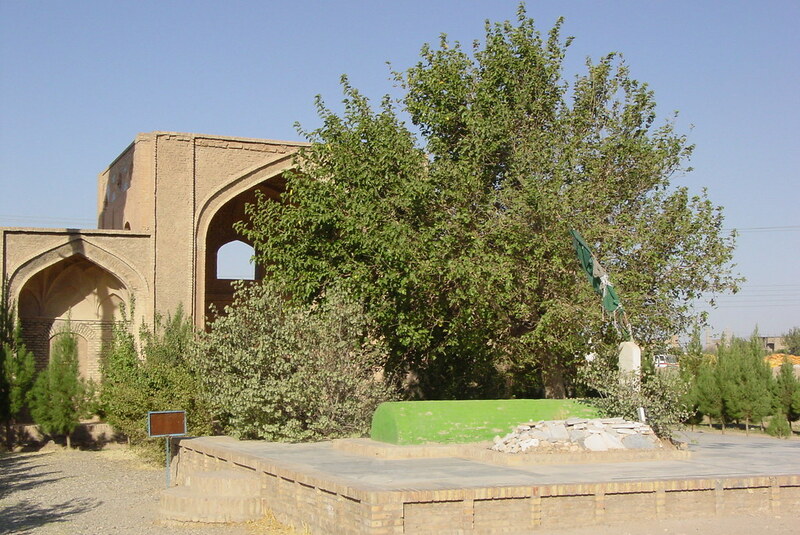 Al-Razi’s skill in polemic ensured that controversy followed him in his subsequent sojourns in Khurasan, Bukhara, Samarqand and elsewhere (he is said to have visited India). He consequently made several dangerous enemies, including among them the Karramiyyah (an activist ascetic sect, staunch defenders of a literal interpretation of scripture and of anthropomorphism), the Isma’ilis, and the Hanbalites, each of whom apparently threatened his life at various points. Al-Razi settled finally in Herat, where he had a teaching madrasa built for him, and where he died in ah 606/ad 1209. In the religious sciences, al-Ghazali had legitimized the use of logic, while at the same time attacking those key metaphysical doctrines of the philosophers which most offended against orthodox doctrine. This move prepared the ground for the subsequent incorporation of philosophical argumentation into theology. It was through al-Razi that this marriage was most completely effected in the Sunni world. His major theological works all begin with a section on metaphysics, and this was to become the pattern for most later writers. The problem of how far al-Razi should be considered a philosopher (rather than a theologian) is complicated by changes of view during the course of his life, and by his highly disputatious and often intemperate personality, which he himself acknowledged. His style is marked by an extensively ramifying dialectic, often ending in highly artificial subtleties, and is not easy to follow. The relentlessness and sometimes obvious delight with which al-Razi used this method to home in on his victims earned him among philosophers the sobriquet of Iman al-Mushakkikin (Leader of the Doubters). Nevertheless, al-Razi was scrupulous in representing the views he set out to criticize, manifesting his concern to lay out a rigorous dialectic in which theological ideas could be debated before the arbitration of reason. This predictably brought him under subsequent attack from those who believed that upholding orthodox doctrine was the primary task of theology, one of whom remarked that in al-Razi’s works ‘the heresy is in cash, the refutation on credit’. One of al-Razi’s major concerns was the self-sufficiency of the intellect. His strongest statements show that he believed proofs based on Tradition (hadith) could never lead to certainty (yaqin) but only to presumption (zann), a key distinction in Islamic thought. On the other hand, his acknowledgement of the primacy of the Qur’an grew with his years. A detailed examination of al-Razi’s rationalism has never been undertaken, but he undoubtedly holds an important place in the debate in the Islamic tradition on the harmonization of reason and revelation. In his later years he seems to have shown some interest in mysticism, although this never formed a significant part of his thought. Al-Razi’s most important philosophical writings were two works of his younger days, a commentary (sharh) on the physics and metaphysics of Ibn Sina’s Kitab al-isharat wa-‘l-tanbihat (Remarks and Admonitions) (see Ibn Sina) and another work on the same subject, al-Mabahith al-mashriqiyya (Eastern Studies), which is based in large part on the latter’s al-Shifa’ and al-Najat as well as al-Isharat, but in which al-Razi frequently preferred the views of Abu ‘l-Barakat al-Baghdadi (d. after ah 560/ad 1164-5). Also of great philosophical interest is his theological text Muhassal al-afkar (The Harvest of Thought). Perhaps al-Razi’s greatest work, however, is the Mafatih al-ghayb (The Keys to the Unknown), one of the most extensive commentaries on the Qur’an, running to eight volumes in quarto and known more popularly as simply al-Tafsir al-kabir (The Great Commentary). As its more orthodox detractors have been happy to point out, this work, which occupied al-Razi to the end of his life and was completed by a pupil, contains much of philosophical interest. The person who did the most to defend Ibn Sina, and philosophy in general, against the criticisms of al-Razi was Nasir al-Din al-Tusi, whose commentary on the Kitab al-isharat was in large measure a refutation of al-Razi’s opinions. Al-Tusi also wrote a Talkhis al-muhassal al-afkar (Abridgement of the Muhassal al-afkar), where he likewise undertook a criticism of many of the philosophical criticisms in the Muhassal al-afkar. Al-Razi was associated by later authors with the view that existence is distinct from, and additional to, essence, both in the case of creation and in the case of God, and that pure existence is merely a concept (see Existence). This view is at variance with the Ash’arite and Mu’tazilite positions, as well as with that of Ibn Sina and his followers. Al-Razi only departed from this view in his commentary on the Qur’an, where he went back to a more traditional view that in God essence and existence are one. Another challenge to the philosophers for which al-Razi achieved fame was his refutation of the emanationist principle ex uno non fit nisi unum (only one can come from one.) In Ibn Sina’s formulation, if an indivisible single thing were to give rise to two things, a and b, this would result in a contradiction, for the same single thing would be the source of both a and of not-a ( ). Al-Razi’s refutation was based on the claim that the contradictory of ‘the emanation of a’ is ‘the non-emanation of a’, not ‘the emanation of not-a’. On a related point, he originally denied the possibility of a vacuum, but in his Mafatih he argues for its existence, and for the power of the Almighty to fill it with an infinity of universes. The philosophers, following Ibn Sina, held knowledge to be an inhering in the knower of the form of the thing known, and that consequently God knew only universals and not particulars, knowledge of the latter implying inadmissible changes in God’s essence as particulars changed (see Immutability). For the most part theologians were opposed to thus restricting God’s knowledge, on the grounds that he was omniscient (see Omniscience). Al-Razi upheld the theological side of the debate through postulating that knowledge involved a relation between the knower and the thing known, so that a change in the thing known would produce a change in the relation but not in the essence of the knower. This notion of a relation involved the substitution of a philosophical term, idafa (relation), for a theological one, ta’alluq (connection), in an argument about the attribute of knowledge which belonged essentially to Abu ‘l-Husayn al-Basri’s Mu’tazilite school. In ethics, al-Razi held that God alone, through revelation, determines moral values for man, it being these which give rise to praise and blame. God himself was beyond the moral realm and acted from no purpose extraneous to himself, be it out of pure goodness or for the benefit of his creation. Following al-Ghazali, and before him al-Juwayni, al-Razi’s solution to the problem posed for divine subjectivists by God’s threats of punishment and reward was to acknowledge a subjective rational capacity within man allowing him to understand what causes him pleasure and pain and thus enabling him to perceive where his advantage lies. In his ‘Ilm al-akhlaq (Science of Ethics) al-Razi built upon al-Ghazali’s ethical writings, particularly from the Ihya’ ‘ulum al-din, providing a systematic framework based on psychology, again under the influence of al-Baghdadi (see Ethics in Islamic philosophy). On the question of free will, al-Razi took a radical determinist position and rejected outright the Ash’arite doctrine of kasb (acquisition). Al-Razi postulated two factors necessary for the production of an action: the power to do it or not to do it, and a preponderating factor, the motivation, which leads to the action being performed or not. Once the preponderating factor exists together with the power, either the act comes about necessarily or else it becomes impossible. Al-Razi pushed this essentially Mu’tazilite thesis, which is also similar to Ibn Sina’s thinking, to its logical conclusion, arguing that both the power and the preponderating factor had to be created by God for the result to exist necessarily, and hence that all human actions have been produced through God’s determination. We thus appear to be free agents because we act according to our motives, but in reality we are constrained. A consequence of this theory when it is applied to God’s own acts is that since God acts through his power, he must himself either act through constraint (if there is a preponderating factor in this case) or else by chance (if there is not), both of which conclusions violate the central Sunnite position that God is a totally free agent. Those who came after al-Razi felt that he had never adequately solved this difficulty, and he himself confessed that, whether from the point of view of reason or of tradition, there was in the end no satisfactory solution to the free will problem (see Free will). Al-Razi held the Ash’arite position that God could re-create what had been made inexistent, and this formed the basis of his literal understanding of bodily resurrection. However, he also expressed views which were influenced by the theory of the late Mu’tazili Ibn al-Malahimi, who held the contrary position on the restoration of non-existence, that the world did not pass into non-existence but its parts were dissociated, and that the essential of these parts were reassembled on the resurrection. This ambivalence on al-Razi’s part perhaps reflects the changes in his position on atomism, which he vehemently denied in his earlier purely philosophical works but of which he was more supportive towards the end of his life. The intellectual life of Islam after the attacks of Ash‘ari and Ghazālī upon rationalistic philosophy can be largely described as the gradual transition from rationalism of Aristotelian philosophy toward the intuitive and illuminative wisdom of Ishraqis1 and Sufis. Although Islam began to weaken politically and culturally during the latter part of the ‘Abbasid Caliphate, Muslim thought, especially in the Shi‘ah world continued the process of divorcing itself from the categories of Peripatetic philosophy. One of the most influential and colourful figures in this movement, who played a major role in the attack against the rationalists, was Fakhr al-Din Razi, who is considered to be the reviver of Islam in the sixth/12th century as Ghazālī was in the fifth/11th century.2 Razi is, in many ways, a second Ghazālī; in fact, he may, without exaggeration, be considered to be one of the greatest Muslim theologians. On the other hand, there appeared a series of great scholars and sages, mostly theologians and Sufis, of whom the most important were Ghazālī, Imam Fakhr, and the Sufi masters, like Shihab al-Din ‘Umar Suhrawardi, who lifted their pen in support of the Caliphate and used both theology and Sufism in order to combat rationalistic philosophy.9 The works of Imam Fakhr were, above all else, dedicated to his cause. Sunni theology reached its height in his works and weakened considerably with the fall of the ‘Abbasid Caliphate, which came to an end about 50 years after his death. The writings of Fakhr al-Din Razi, of which nearly a hundred are known deal almost with every aspect of Muslim intellectual life and include all the sciences of his time.10 Some of these, like the commentary upon the al-Isharat w-al-Tanbihat of ibn Sina and upon his ‘Uyun al-Hikmah and the Mabahith al-Mashriqiyyah, are written as criticisms of Muslim philosophers, especially ibn Sina, and on general problems of philosophy.11 Others deal with the many branches of the intellectual sciences including logic, mathematics, metaphysics and the natural and esoteric sciences. Still another set of books deals with theology, of which the most famous are the Kitab al-Arba~in fi Usul al-Din, Laudami’ al-Bayyinat, and the Mubassal, a classic among writings of the Kalam. Fakhr al-Din also wrote a large number of works on particular sciences, like the commentary upon the syntax of Zamkhshari, Kitab al-Sirr al-Maktum on astrology and astronomy, Manaqib al-shifi‘i on history, the commentary upon the Qanun or Canon of ibn Sina, and many other treatises dealing with medicine, geometry, physiognomy, agriculture, theurgy, etc. Besides these writings, Imam Fakhr composed a large number of works on the purely Islamic sciences of exegesis and jurisprudence, of which the most famous are the Mafatih al-Ghaib, the voluminous commentary upon the Qur’an and al-Ma‘alim fi Usul al-Figh on the principles of jurisprudence. Throughout these writings, the character of Imam Fakhr as a critic and “doubter” is evident. He criticizes not only the philosophers, but also theologians like Ash‘ari and historians like Shahrastani, when he accuses of plagiarizing Baghdadi’s al-Farq bain al Firaq in his al-Milal wa-al-Nibal.12Imam Fakhr’s particular genius for analysis and criticism is evident in whatever field he turns his attention to, so that in the annals of Muslim thought he has quite justly become famous as one who is a master in posing a problem but not in solving it, in entering into a debate but not in concluding it. Muslim theology, known as Kalam, began as a reaction against the rationalistic school of the Mu‘tazilites, and only gradually developed into a complete science. In the earlier centuries the theologians, following the lead of Abu al-Hassan al-Ash‘ari, tried to use logic, the instrument of their enemies, in order to defend the truths of revelation. From the fourth/tenth century onward, this defence itself became more subtle and systematic, reaching its height in the works of Imam al-Haramain Abu al-Ma‘ali ‘Abd al-Malik al-Juwaini, such as the Irshad and the Shamil.13 With Ghazālī Kalamtook a new turn, as opposed to what it was at the beginning to the school of philosophers, it now began to employ the syllogistic method, intellectual (‘aqli) evidence and certain theses of the philosophers, thus laying the foundation of the school of philosophical Kalam of the later theologians. Imam Fakhr is the greatest master of this later school of theology, surpassing in many ways even the more illustrious Ghazālī. With Imam Fakhr philosophical Kalam reaches its zenith of power and perfection; his works became consequently a continuous source of influence over their later theologians, whether they were Sunnis like al-Iji and al-Taftazani or Shi‘ahs like Khuwaja Nasr.14 Properly speaking, Razi must be credited with the foundation of a new school of Kalam, and certain writers have even considered him to be the Third Teacher after Aristotle and Farabi.15Actually, he composed works characteristic of both the first period of Muslim theology – marked by a revolt against the philosophers and yet by a dependence upon their methods and even some of their ideas – and the second period, after Ghazālī, in which theology became a more independent science and lost much of its defensive and apologetic quality. Among the first type of writings one may name Muhassal and al-Arabi fi Usul al-Din and among the second Asas al-Taqdis and Lawamial-Bayyindt. To understand Razi’s approach to theology, it is enough to analyze the structure of one of his treatises. We take as an example perhaps the most famous of his theological works, the Muhassal, which became a classical source book on the Kalam almost from the moment of its composition.18Here, Imam Razi divides theology into four parts (arkun): preliminaries, being and its divisions, rational theology (ilahiyyat), and traditional questions (sam‘iyyat). The preliminaries include the principles of logic, the sufficiency of demonstration (dalil) to prove the existence of God, and the obligation upon each believer to prove God’s existence.19 The section on Being and its divisions considers the questions of Being and Non-being, the relation of the One to the many, cause and effect, etc. Rational theology, which is interlaced with passages from the Qur’an, concerns the Necessary Being, His attributes, acts and the divine names. Finally, the traditional questions, which are exclusively scriptural, concern prophethood, eschatology, the Imamate, the faith and other related subjects. As a whole, therefore, Imam Razi’s theology combines the transmitted or traditional elements of revelation (naqli) and the intellectual and rational evidence concerning religious and metaphysical questions (‘aqli) into a science which takes into account the problem of religion while participating in many of the discussions of philosophy. Imam Razi also criticized Ash‘ari on the question of atomism which is such an essential aspect of the Ash‘rite theology. Razi rejected atomism in his earlier works like the Mabahith al-Mashriqiyyah and wrote his Kitab al-Jauhar al-Fard to refute it, but later works like the great Qur’anic commentary, the Majafih al-Ghaib, he accepted it once again. (Atomism does not play a major role in his theology as it does in the system under other Ash‘arites like Baqillani.) This change of position occurs also in the rejection of infinity the void, and the plurality of worlds in the earlier writings and their acceptance in later works like the Mafahh. There are several points in Imam Razi’s theology which are of special interest in so far as his particular point of view is concerned. One relates to the question of faith in which he joins most theologians in regarding faith as the necessary and sufficient requirement for being saved. Hell is not for those who have committed evil acts accidently, but for the infidels who have no faith. Man is, of course, responsible for his work but ultimately all is determined by the divine will. Imam Razi is very emphatic in his determinism and over-throws even the theory of acquisition (kasb) of the Ash‘arites. His Qur’anic commentary is full of arguments for determinism, which he defends more openly and ably than any other theologian. God is the creator of both good and evil, faith and impiety, benefit and injury, all these qualities are decreed by the determination of the divine will (qada wa qada). Yet, none of the divine acts can be considered to be inappropriate or blameable since God is the creator and ruler of the world, and whatever He does in His kingdom is His own affair and is as such, appropriate. According to Imam Razi, “God’s attributes and names must be interpreted symbolically (ta’wil) in order to be understood.” He follows the method of Imam al-Haramain in applying ta’wil to the Qur’an, especially to those verses in which God is attributed with such anthropomorphic qualities as sight, hearing, etc. This does not mean that Razi tries to overcome the rational difficulties of certain principles of faith by ta’wil, as did many of the philosophers. For example, on the question of resurrection, unlike the philosophers who believed only in the resurrection of the soul, Imam Razi asserts that at resurrection God will create for each soul in the same body, made of the same elements as those it possessed in this life. On the question of knowledge and the process of reasoning, Imam Razi is of the view that reason is neither the cause of which knowledge is the effect nor the source which produces knowledge. There is an intelligible succession between the two; God creates a reasoning which knowledge follows necessarily.21 He accords a definite value to the rational faculty; his aim in theology is, in fact, to create a science which combines and harmonizes reason and revelation, ‘aql and naql. In his Qur’anic commentary, he calls those who have succeeded in integrating these two elements the Muslim sages (hukma’ islamiyya), and praises them greatly. His own importance in Muslim theology lies in his success in establishing the school of philosophical Kalam, already begun by Ghazālī, in which both intellectual and revelational evidence played important roles. The importance of Imam Razi in philosophy lies more in his criticism of the philosophers than in the establishment of a new school. Influenced by the writings of Ghazālī, he studied philosophy to such an extent that he became a definite master of it. Unlike the theologians who rejected Greek philosophy totally or the Peripatetics who followed it strictly, Imam Razi criticized many points of Greek philosophy while accepting certain others. The new ideas of which Imam Razi speaks are mostly those pertaining to the rejection of certain basic elements of Aristotelianism and in some cases of Platonis. In the Mabahith he rejects the Platonic ideas, since in the Ash‘arite perspective all infinite modes of Being are absorbed in the Absolute. He also criticizes the Platonic notion of knowledge as reminiscence and the most important and penetrating discussions involves criticism of the principle that from Unity only unity can issue forth, ex uno non fitnisi unum, a principle held by nearly all medieval philosophers. Imam Razi puts this view to the test of his severe judgment and criticizes it with his usual genius for analysis. He asserts, on the contrary, that from Unity multiplicity can issue forth, but does not pursue the proof of this assertion very far. The Mabahith deals with many other subjects treated in the well-known texts of Muslim philosophy like those of ibn Sina. In each case it is the acute criticism of commonly held Peripatetic notions that is of interest. In his commentary upon the al-Isharut w-al-Tunbihat of ibn Sina, which after the Mabihith is his most important philosophical work, this type of criticism and doubts about Peripatetic philosophy continue – doubts with his student Nassir al-Din Tusi, tried to answer in his own commentary upon the Isharut. Ever since these works were written, nearly every student of Peripatetic philosophy in the Muslim world, especially in Persia, has reached this philosophy through the criticism of Imam Razi, so that the thought of Imam Razi has become a permanent heritage of Muslim philosophers. His other philosophical works, like the commentary upon the ‘Uyun al-Hikmah, Lugab al-Iskarut and many treatises on logic and metaphysics, are also significant, but his greatest philosophical importance lies in the criticisms and doubts cast upon that school but opened the horizon for the other modes of knowledge like ishraqi philosophy and gnosis, which are more intimately bound with the spirit of Islam. There have been very few Muslim theologians who have had a lot of knowledge of the mathematical and natural sciences as Imam Razi. His pre-occupation with the sciences is itself of great interest, because, usually the Sunni theologians and doctors of law shunned any discipline outside the sphere of the strictly religious sciences. Imam Razi, on the contrary, studied all the awa’il sciences, that is, the sciences inherited from the Greeks, and was considered by many of his contemporaries to be the greatest authority of his time on them. There is hardly a science in which he did not compose a treatise, although he never occupied himself with the study of nature in the manner of ibn al-Haitham or Biruni. His main importance in the sciences was in considering their principles and their relation to theology and to the spirit of Islamic revelation. A field in which Imam Razi excelled is medicine, a discipline the mastery of which one hardly expects from a theologian. He wrote several treatises on health, pulse, and anatomy, and a medical encyclopedia entitled al-Jami‘ al-Kabir or al-Tibb al-Kabir, which he never completed. His most important medical work was his commentary upon the Qanun of ibn Sina, which he often criticized, basing himself on the opinions of Galen and the Muslim physicians, especially Mohammad Zakariyya Razi. The commentary is sufficient evidence that Imam Razi did not learn medicine by reading one or two manuals but studied it thoroughly and was well versed in it. He was, in fact, famous in Herat for his ability and exactitude in diagnosis. Of particular interest to the history of Muslim sciences is the scientific encyclopedia of Imam Razi, the Jami‘ al-‘Ulum.27 This work offers a good source for the names, definitions, scope, and major principles of the various Muslim sciences. Imam Fakhr begins with a discussion of traditional religious sciences such as theology, jurisprudence, dialectics, comparative religion, inheritance, will and testament, Qur’anic commentary, and reading of the Qur’an and Hadith, and then passes on to the linguistic sciences dealing with grammar, syntax etymology of words, prosody and poetic metre, and, after that to history. Having considered the transmitted (naqli) sciences, he devotes the rest of the book to the intellectual (‘aqli) sciences which include natural pharmacology, the science of the occult properties of things, alchemy, theurgy, agriculture, geometry, science of weights, arithmetic, algebra, optics, music, astronomy, astrology, metaphysics, ethics and its various branches, and even chess and other games. Imam Razi describes the principles, scope and major problems of each science. Despite the fact that his discussion is always general and characteristic of an encyclopaedists and never penetrates too deeply into any single science, the work is perfect evidence of his vast erudition and encyclopedic knowledge. In this respect Imam Razi is similar to the Isma‘ili of whom, like Sheikh Baha al-Din Amili, took great interest not only in philosophy but also in all the cosmological and mathematical sciences. Imam Fakhr’s importance in the Muslim sciences is, therefore, mostly in bringing closer together the theological and cosmological traditions which, until his time, had been far apart, and in studying nature with a view of discovering God’s wisdom in creation, as was done by many other Muslim scientists.28In this case, as in so many others, he advanced upon a path already trodden by Ghazālī. Imam Razi’s Qur’anic commentaries include the Tafsir al-Fatihah, Tafsir Surat al-Baqarah, Asma’ Allah al-Husna and Risalah fi al-Tanbih ‘ala ba‘d al-Asrur al-Mau‘izah fi al-Qur’an, which last is a theological commentary combined with Sufi ideas in which metaphysics (ilahiyyat) is based on the chapter (surah) al-Ikhlas, prophecy on the chapter al-A‘la, resurrection on the chapter al-Tin and the recording of human actions on the chapter al-‘Asr. The most important of Imam Razi’s commentaries is the voluminous Majatih al-Ghaib, known as the “Great Commentary” (Tafsir al-Kabir), which was collected and organized by ibn al-Khu’i and Suyuti after his death. This work is the most important theological commentary ever written on the Qur’an. Imam Razi makes this also an occasion to expose his encyclopedic knowledge in that he inter-mingles history, geography, and other branches of knowledge in the commentary of the Qur’anic text wherever possible. He mentions and praises often in this work the Muslim sages who combine intellectual principles with the principles of Islamic revelation. 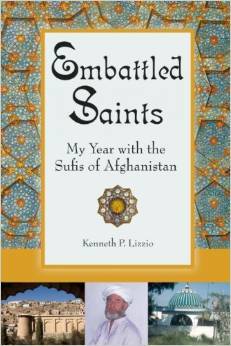 He also analyzes the stories of the Qur’an and interprets their theological and metaphysical meanings. Despite its volume and the number of topics which do not seem very relevant to the immediate subject-matter, the Mafatih is an impressive theological Qur’anic commentary. It its intellectual interpretation and the combining of ‘aql and naql, or reason and authority, and in the understanding of the sacred Scripture it remains one of the major commentaries upon the Qur’an. Although primarily occupied with theology, Imam Razi occasionally devoted himself to jurisprudence as well. The few works like al-Mahsul fi al-Usul al-Figh, al-Ma‘alim, and Ihkam al-Ahkum bear evidence to his mastery of jurisprudence which he interpreted according to the school of exegetes. As already mentioned, he belonged to the Shafi‘i school of which he was considered to be one of the ‘ulama’ and authentic interpreters. Imam Razi was particularly well versed in the principles of jurisprudence (Usul), which he treated in a manner similar to theology. This subject has in fact never been able to divorce itself from Kalam, and is still studied almost as if it were one of its branches. The importance of Imam Razi in Shafi‘i jurisprudence lies more in his contribution to the theoretical principles of Fiqh than in their actual application embodied in the fatwas of the various Shafi‘i ‘ulama’. Following the example of Ghazālī, Imam Razi became a dialectical theologian and, as his works testify, excelled in dialectics. He was famous for his eloquence in persuasion and argumentation, for the quickness of his intelligence and keenness of wit. These gifts were combined with a rhetorical power which made him the most famous preacher in Herat. Hardly would a scholar dare enter into debate with him; those who took sides against him would soon feel the thrust of is dialectical and rhetorical weapons. The Munazarat bears ample evidence of these traits. 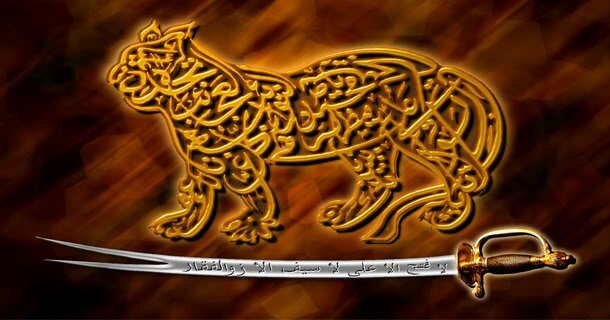 In its pages one sees Imam Razi as a tiger that pounces mercilessly upon his helpless adversary and has little regard for softness in discourse. Much of his energy throughout life was spent in attacking bitterly the small sects which arose against the main orthodoxy, such as the Karramlyyah, who probably finally poisoned him.30 As the Sheikh al-Islam of Herat, his main duty was to preach and defend Islam, and he took the opportunity of using his remarkable gifts of rhetoric and dialectic in a manner which made him one of the most famous of Muslim preachers. There are little of the mysteries that I did not understand. There is little doubt that Imam Razi was sympathetic to Sufism, especially in later life, when he wrote most of his poems like the one mentioned above. Moreover, many of his works are, like his Qur’anic commentary, full of Sufistic ideas, and in Laudmi‘ al Bayyinat he outlines the degree of knowledge in a manner very similar to the Sufi treatise of Suhrawardi, Safir-i Simurgh.31 He is altogether a theologian with sympathies towards Sufism. Moreover, in his writings as in his life, Imam Razi displayed aggressiveness and fighting quality hardly characteristic of the lives and writings of the Sufis. “Our souls fear our bodies as if they want to separate from them. The many sided genius of Imam Razi, to which the previous pages bear partial witness, makes him one of the most colourful figures in Islam. Following the example of Ghazālī, by whom he was profoundly influenced and whose retreat in Tus he visited, Razi spent a life time in combating the rationalistic aspect of Greek philosophy. Although not of equal stature to Ghazālī in Sufism and ethics, he, nevertheless, exercised as much influence, especially in theology, as did his more famous predecessor. Possessed of a special gift for posing problems and for analyzing philosophical questions, he left an indelible mark upon all later Muslim philosophers, especially upon Khuwaja Najr al-Din Tusi, his student, who was the reviver of Muslim philosophy after Imam Razi, and was also the most famous of Shi‘ah theologians. Imam Razi played an important role in bringing theology closer to the sciences and even to Sufism, with which he flavoured this theological works. In the centuries when the Muslim world was turning away from Peripatetic rationalism toward modes of thought more akin to its own spirit, Imam Razi played a major role in this transformation. He remains as one of the most arresting figures among Muslim theologians, a figure the power of whose thought spread over the whole Muslim world at the very moment when the Mongol onslaught was putting an end to the caliphate, to the survival of which his work was to a large extent dedicated. G. Gabrieli, “Fakhr al-Din al-Razi,” Isis, 7, 1925, pp 9 – 13, L. Gardet and M. M. Anawati, Introduction a la theolgie musulmane, Librarie Philosophique J. Vrin, Paris, 1948, I. Goldziher, “Aus der Theologie des Fakhr al-Din al-Razi,” Der Islam, 3, 1912, pp 213 – 47, M. Horten, Die Philosophischen Ansichten von Razi and Tusi, Bonn, 1910, Die spekulative und positive Theologie des Islam nach Razi und ihre Kritik durch Tusi, Leipzig, 1912, P. Kraus, “Les ‘controverse’ de Fakhr al-Din Razi,” Bulletin de l’Institut d’Egypt, t. 29, 1936 – 37, pp. 187 – 214, Y. Mourad, La physiognomonis arabe et la Kitab al-Firasah de Fakhr al-Din al-Razi, Librarie Orientaliste, Paul Geuthner, Parris, 1939, S. Pines, Beitrahge zur islamischen Atomenlehre, A. Heine GmbH. Grafenhainichen, Berlin, 1936. Fakhr al-Din al-Razi, Aarur al-Tanzil, lithographed edition, Teheran, 1301/1883, Fowa’id-i Ghiyalhiyyah, Matba-‘i Qasimi, Hyderabad, 1323/1905, I‘tiqadat Farq al-Muslimin w-al-Mushrikin, Maktabat al-Nahdat al-Misriyyah, Cairo, 1356/1937, Jami‘ al-‘Ulum, Mirza Mohammad Khan, Bombay, 1323-1905, Kitab al-Arba‘in fi Usul al-Din, Dairatul-Maarif-il-Osmania, Hyderabad, 1353/1934, Lubab al-Isharat, Cairo, 1343/1924, Majatih al-Ghaib, eight vols., Cairo, Matba‘at al-Amirat al-Shara-fiyyah, 1308/1890, Muhassal, Matba‘at al-Hussainiyya, Cairo, 1323/1905; Musnzarat, Dairatul-Maarif-il-Osmania, Hyderabad, 1355-1936, al-Rislat al-Kamaliyyah fi al-Ilahiyyah, Teheran University Press,1335 Solar. 2. According to a hadith, in each century God sends a great sage and scholar into the world to strengthen Islam. Muslim historians, following the hadith, have searched during each century for the fittest person to receive this honour. 3. He was given this title because he doubted so many of the views of previous philosophers and even of theologians. 5. Al-Subki, Tabaqat al-Shafi‘iyyat al-Kubra, Matba‘at al-Husainiyyah, Cairo, 1324/1906, vol. 5 pp 33 – 40. 6. Although not a great Sufi figure like Ghazali, Imam Razi was, nevertheless, sympathetic towards Sufism, especially in the latter period of his life. Subki, op. cit., p. 35, writes that Razi was himself a Sufi and some of his poems and frequent quotations from the Sufi masters like Hallaj and Abu Sa‘id certainly pointed in this direction. 7. For an outline of the ideas of the group of Muslim thinkers who were influenced by Platonic physics, see S. Pines, Beitrage zur islamischen Atomenlehre, Berlin, A. Heine Gtubh, Grufenheinichen, 1936. 8. It is far from accidental that the philosophy and the sciences which were connected with the Greek heritage flourished, especially in the fourth/tenth century, when most of the Muslim world was governed by the Shi‘ah Buwaibids and Fatimids. 9. The opposition of this group to Greek philosophy was primarily against its rationalistic and syllogistic aspects. The cosmological and certain metaphysical doctrines of the Greeks were not only criticized but were also openly accepted by them. So we see a Ghazali using Hermetic symbolism or a Fakhr Razi writing numerous treatises on the cosmological sciences. 10. For a bibliography of his works, see Subki, op,.cit., pp. 33 – 40 and Imam Razi’s I‘tiqadat Farq al-Muslimin w-al-Mushrikin, Maktabat al Nahdat al-Misrtyyah, Cairo, 1356/1937, Introduction by Sheikh ‘Abd al-Razzaq, pp. 27ff. 11. Imam Razi’s student, Khwajah Nasir al-Din Tusi, wrote many works answering his teacher’s criticism of ibn Sina and other philosophers. 12. See Fakhr al-Din Razi, Munazarut, Dairatul-Maarif-il-Osmania, Hyderabad, 1355/1936, where he also criticizes certain parts of Ghazali’s Tahafut al-Falasifah on the motion of planets. See also P. Kraus, “Les ‘controverse’ de Fakhr al-Din, Razi,” Bulletin de l’Instiut d’Egypt, t. 29, 1936-37, pp. 187 – 214. 13. For a history of Muslim theology, especially of the Sunni school, see Shibli Nu‘mani, Tarikh ‘Ilm-i Kalam, tr. M. Fakhr Da‘i Gilani, Rangin Press, Teheran, 1328/1910, and L. Gardet and M. M. Anawati, Introduction a la theologie musulmane, Librarie Philosophique J.Vrin, Paris, 1948. 14. The theological masterpiece, the Tujrid of Khwajah Nasir al-Din Tusi, who is the greatest of the Shi‘ah theologians, is to a large extent, influenced by Imam Razi’s Masa’il al-Khamzun. 15. This title, however, is more commonly given to Mir Damad, the master of theology and philosophy during the Sufawid period. 17. Imam Razi, like the Christian theologians, considered Kalam to be the queen of the sciences and sub-ordinated all the other rational sciences like philosophy and the mathematical and natural sciences to it. 18. For a more detailed discussion of this work, see L. Gardet and M.M. Anawati, op. cit., pp 162 – 64. 19. In all Muslim theology it is considered obligatory upon each Muslim to prove the existence of Good according to his intellectual ability. See F. Schuon, “Nature et arguments de la foi,” Etudes Traditionelles, vol. 54, Dec. 1953, pp 344 – 63. 21. Many theologians before Razi considered this relation between reason and knowledge to be custom (‘ddah), but he explicitly rejects this notion. 23. His historical works include Kitab Fada’il al-Sahabah and Kitab Monaqib al-Imam Shafi‘i and his work on comparative religion, the I‘tiquadat Farq al-Muslimin w-al-Mughrikin. 24. See Y. Mourad, La physiognomonie arabe el le Kitab al-Firasah de Fakhr al-Din al-Razi, Librarie Orientaliste, Paul Geuthner, Paris, 1939. 25. See Munzarat, pp. 20 – 24. 26. See Mabahith…, p. 214. 27. This work Imam Fakhr wrote for Khwarizm Shah Abu al-Muzaffar ibn Malik al-Mu‘azzam. It has always been a popular scientific encyclopedia and was printed in a lithographed edition in Bombay in 1323/1905. 28. Imam Fakhr’s wrigitngs are full of passages in which he appeals to various natural phenomena as “signs” of the different divine qualities and names. She his Asrar al-Tanzil, Teheran, lithographed edition, 1301/1883, pp. 68ff. 29. Ibn Abi Usaibi‘ah, Usaibi‘ah, ‘Uyun al-Anba’ fi Tabaqat al-Atibba’, Matba‘at al Wahabiyyah, Cairo, vol. 2, p. 27. 30. There is a story told of Imam Razi’s opposition to the Isma‘ilis. He used to attack them bitterly in public, accusing them of having no proofs for their doctrines. One day, one of their agents, posing as a student, found Imam Razi alone in his library, pulled out a knife and pointed it to his chest saying, “This is our proof.”Henceforth, Imam Fakhr never attacked the Isma‘ilis inn public. One day, the disciples asked him why he no longer spoke against this group – the group which he had opposed so bitterly before. he replied, “Because I have seen their proof.” This story appears in nearly all the biographies of Imam Fakhr which we have already mentioned and is characteristic of his wisdom in public life. 33. There is a story told that Imam Razi met the Sufi Najm al-Din Kubra in a gathering and boasted of his religious knowledge and said that he knew a hundred proofs for the existence of God. Najm al-Din answered, “Is not each proof due to some doubt? God has placed in the heart of the Sufi a light of certainty which dispels all doubt so that he no longer has need of proofs.” Imam Razi, upon hearing this answer, surrendered himself to the Sheikh and was initiated into Sufism. 34. It is of great interest that not only in the Muslim world but also in medieval Christianity and in China, many of those who pre-occupied themselves with the science of nature, like the Taoists, Ikhwan al-Safa, and the Franciscans, were opposed to philosophical rationalism and accepted some form of esoteric and metaphysical doctrine based on intellectual intuition and revelation.